For Dressing: Whisk together Marukan Genuine Brewed Rice Vinegar, olive oil, dijon mustard, honey and salt and pepper. 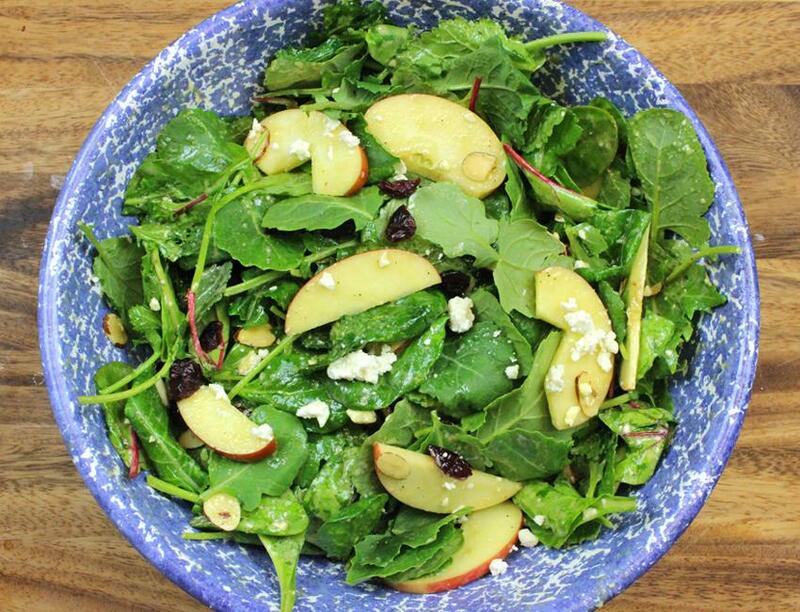 For Salad: Combine your favorite greens (we used a blend of baby spinach, mizuna, chard and kale), apples, candied pecans, feta cheese and dried cranberries and mix together. Then add desired amount of dressing. Serve and enjoy!